Last night I had one of those ‘I’m hungry and I don’t have a lot of options‘ moment, and I haven’t been grocery shopping in a while and my pantry is starting to look like a ghost town. So I went online and typed in a few key ingredients from my pantry for a recipe. I found a bag of scallops in my freezer and a packet of linguine behind some spices, so I thought that’ll do. 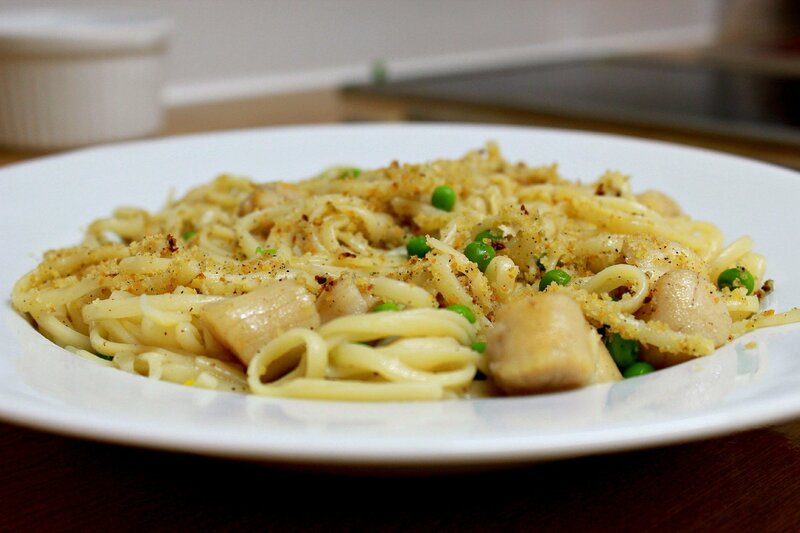 Now another catch to my late night dinner was it had to be super easy to prepare and luckily I found this recipe of Zesty Linguine & Scallops which I had almost all the ingredients for. So if you also stumbled across my Zesty Linguine & Scallops recipe because you wanted a quickie, then I assure you this dish is easy to make and very delicious to eat. I made a few changes to my version of the recipe by adding a few things. P.S the ingredients below is for one and a half serving. Put the kettle on or put some water in a pan to boil for the Linguine. Pour boiled water in a pan and cook linguine as instructed on the packet, add the peas a minute before pasta is cooked and take it off the fire. Drain 1/2 cup of the pasta water and set aside then put the remaining pasta in cold water to prevent it from over cooking or sticking together. 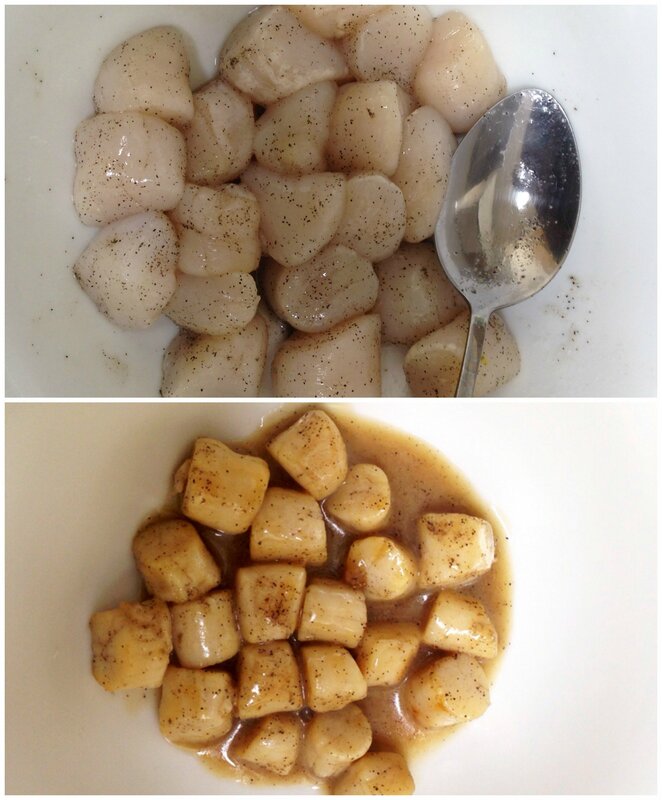 Take the scallop and wrap in Kitchen tissue to drain out excess water. Season with salt and black pepper. Take a skillet and put 1 tbsp of olive oil and chopped garlic. Stir fry for 30-45 seconds and then add scallops. Cook until brown and turn over to cook the other side. Then keep tossing until completely cooked, about 5-6 mins. I missed out on the patting dry bit and so mine came out a bit creamy, you can opt to do it that way as well if that’s what you fancy. Take the pasta pot and wipe clean then add the butter and continuously stir fry for 3 minutes or until it turns to a brownish colour. 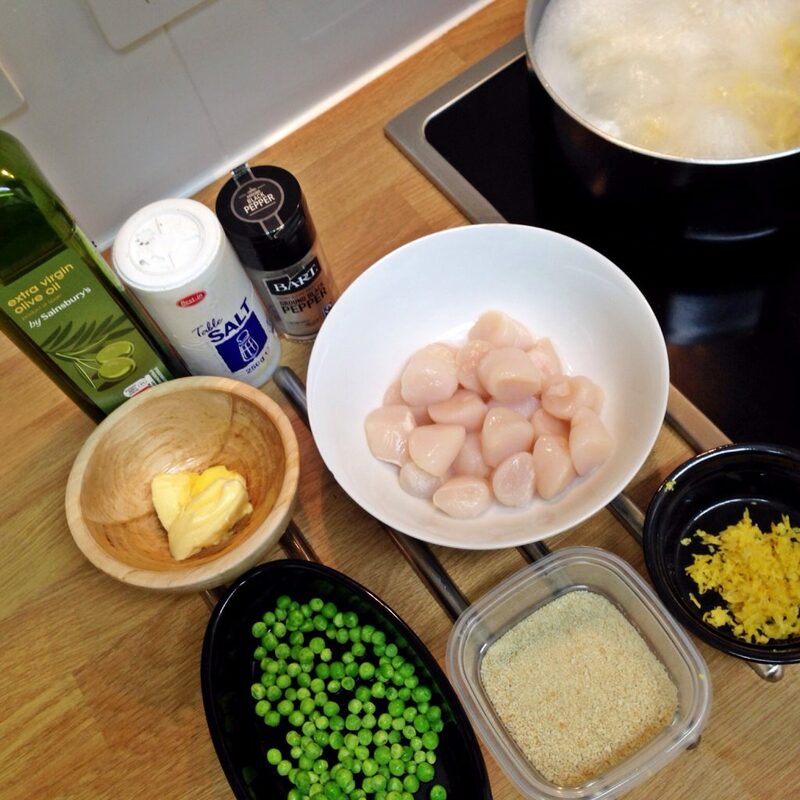 Then add the pasta and peas, scallops, ½ teaspoon salt, Maggi stock cube—or you can use Knorr cube—to add flavour and ¼ cup of the reserved cooking water and toss to coat—add more cooking water as needed to loosen the sauce. 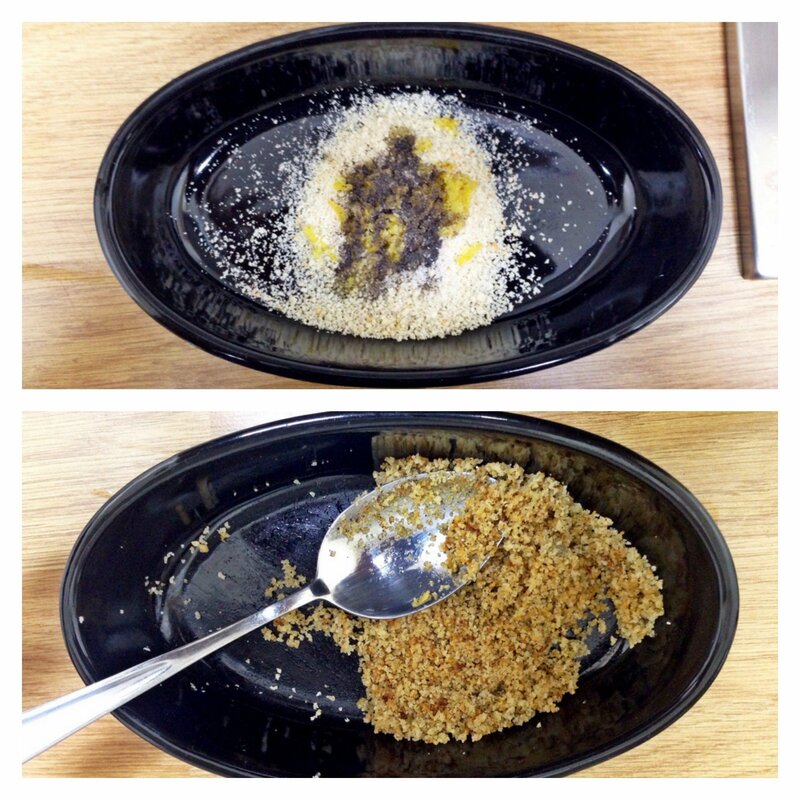 Serve the pasta and sprinkle the zesty bread crumbs on top, generously.